DCU campus accommodation rules stricter than those off-campus. A number of students living in campus accommodation have expressed frustration with the fines imposed by the Campus Residences office for offences such as putting up posters in their bedrooms and placing items on their windowsills. The office have been fining students who put up posters in their apartments €20 per poster, as per the occupancy agreement, and fining them an additional €20 if they place any ‘bottles, containers or other articles’ in the window areas of their apartments. Under the occupancy licence agreement for campus accommodation at DCU, students are warned not to hang or “to exhibit…any sign board, poster…placard, flag or banner outside, in or on the Unit” and in particular “not to affix any such or other item to the inside walls” of the apartment. “I don’t feel as if I have the same rights as my friends who live off-campus in rented accommodation”, one College Park resident told The College View. “I’ve paid over €5,000 to stay here, €300 of which was a deposit. At the end of the year they just dock what they want from you and you really have to fight to get an itemised bill to find out why they took money off you,” she said. Other charges imposed by the office include €50 for smoking in the apartment, €50 for making noise after 11pm, €100 for having a party “at any time”, €50 for having a non-resident stay over who was not booked in, €5 for replacing a lost access card and €5 for leaving your door on the latch. Up until recently there was also a €5 administration charge for booking in a guest to stay over. Residents are required to give written notice before 2pm that day if they have a guest staying that night, as well as information about the guest. The Campus Residences Office declined to talk to The College View when contacted last Thursday, only to say that they have about 1,000 students living on campus and that they would like to see more on campus accommodation made available. In comparison, students staying in UCD campus accommodation are not fined for putting up posters or for placing items on windowsills, according to UCD Residences Office. “Once there’s no paint taken off the walls or damage to the walls then we don’t have a problem with students putting up posters,” said a spokesperson from UCD Residences. “We have never charged students to have a guest stay over and they can sign people in up until eight o’clock that night,” she added. Like DCU, UCD have a ban on smoking in their on-campus accommodation. Shanowen Square houses 336 students, 70 per cent of whom attend DCU. “Students can put up posters with blu-tack if they like. We’re supposed to fine them but we never do,” a representative of the company told The College View. “Smoking is allowed throughout our apartments but students aren’t allowed put things in the windows because local residents complain and it looks untidy,” she continued. 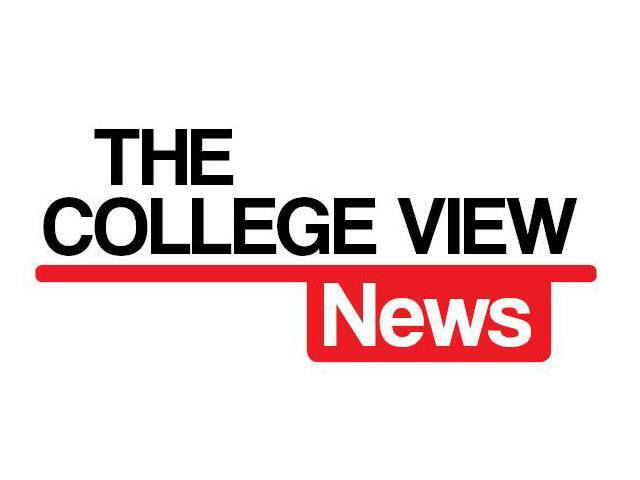 The College View also spoke with a prison officer in Mountjoy about what prisoners are allowed do within their cells. “They can put up up to six posters per cell,” said the officer. “Because Mountjoy is classified as a dwelling, they are allowed to smoke too. We encourage them to paint their cells and they also tend to the gardens and do the cleaning within the jail,” he added.